The !Anda! 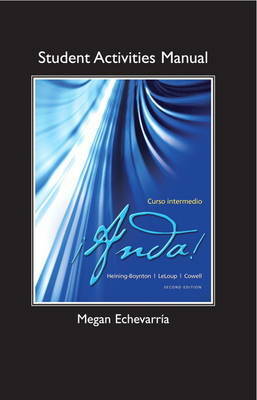 Curso intermedio Student Activities Manual includes "workbook" activities as well as audio- and video-based activities for each chapter of the text. The activities are integrated and organized to mirror the corresponding textbook chapter. The Student Activities Manual includes Service Learning, Experiential Learning, and cultural activities, as well as activities especially created for Heritage Language Learners. The contents of this manual are also available in online formats.